PDI, a leading provider of enterprise-class software solutions to the convenience retail and wholesale petroleum industries, announced a record year of growth in 2016. A combination of new software customers, strategic acquisitions and add-on product adoption among its existing customer base resulted in the company’s 32% year-over-year revenue growth. PDI experienced a banner year for new customers, becoming the enterprise resource planning (ERP) software provider of choice for 24 convenience retailing and petroleum marketing companies. The company’s laser-focused approach to serving and delivering value for its customers resulted in the expansion—and subsequent increase in customer adoption—of several products and services. 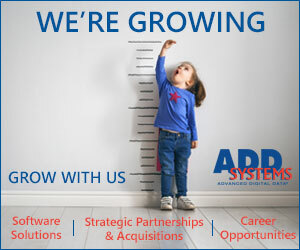 Among them were PDI’s add-on software modules, PDI/Lottery and PDI/Labor Scheduler, which gained 55 new customers. In a year of notable acquisitions, the software technology veteran also bolstered its wholesale petroleum software portfolio by acquiring the Florida-based fuel supply chain and logistics company, Intellifuel. As PDI positions itself for international growth, it announced two additions to its executive team. Douglas Henderson joins the team as Senior Vice President of Global Sales, and Bo Harvey will assume the role of Senior Vice President and General Manager of North American Operations. Henderson brings with him over 20 years of experience building strong customer relationships in the convenience retail segment. Most recently, he served as the Executive Vice President of Sales for Kalibrate. Prior to Kalibrate, Henderson held increasingly responsible positions with NCR. Henderson’s experience serving customers on six continents is key as PDI broadens its geographic reach. Harvey—a 16-year PDI veteran—has served in numerous capacities at the company, including Vice President of Professional Services. In his new role, he will oversee the day-to-day management and operation of the company’s North American business, including the implementation of all software solutions, the ongoing support and maintenance of those solutions, as well as the delivery of all managed services to the customer base in North America. He has ultimate ownership of the satisfaction of the customers in North America. PDI’s CEO Jimmy Frangis had this to say about PDI’s recent news: “2016 was a momentous year in the evolution of PDI, with a record year in terms of revenue growth and new customer additions. We also partnered with TA Associates, a $24 billion global growth private equity firm with extensive experience supporting and scaling over 200 software companies, to accelerate PDI’s growth and market leadership.